October Devotions . 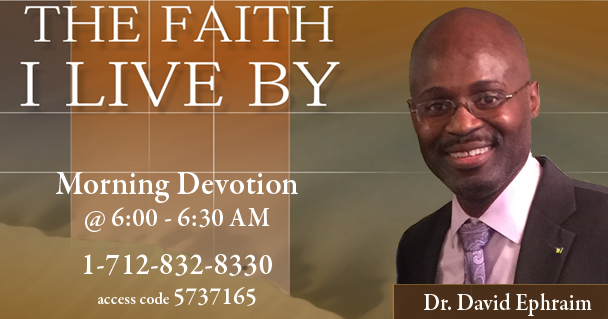 . .
Touch of Faith Ministry morning devotions are taken from the book The Faith I Live By written by Ellen G. White. Dear to the Heart of God, October 1 — Can a woman forget her sucking child, that she should not have compassion on the son of her womb? yea, they may forget, yet will I not forget thee. Behold, I have graven thee upon the palms of my hands; thy walls are continually before me. Isaiah 49:15, 16. Listen NOW. A City of Refuge, October 2 — For the Lord hath chosen Zion; he hath desired it for his habitation. This is my rest for ever; here will I dwell; for I have desire it. Psalm 132:13, 14. Listen NOW. The Testimony of Jesus, October 16 — What is the Testimony of Jesus? What is the Spirit of Prophecy? How should we view the writings of Ellen G White? Are her writing equal to the Bible? Pastor Ephraim explains what the Testimony of Jesus is all about. He reveals the common mistake that many make, they worship the one who brings the testimony rather than the Testimony itself. Listen NOW.